If you suffer from back pain, it can affect your everyday life in a variety of ways. You may not be able to live or move in the way that you’re used to, which can affect your professional life as well as personal time. Degenerative disc disease in Miami is a common cause of back pain, and it is often misunderstood. If a doctor at your spine center has recommended that you undergo spinal stenosis surgery near Florida, you probably have a lot of questions. Spinal surgery is necessary when more conservative spinal stenosis treatments have failed, and stenosis of the spine is significantly affecting your life. Here are some tips for preparing mentally for lumbar spinal stenosis or cervical spinal stenosis surgery. What Factors Increase Your Back Pain Risk? Certain lifestyle choices can significantly increase your risk of developing lower back pain in Miami. If you are at risk for back pain, lumbar pain, sciatica, degenerative disc disease, disc herniation, or spinal stenosis, you should visit a doctor at a spine center near you to discuss how to reduce your risk. If you suffer from back pain or lower back pain near Miami, it helps to understand the anatomy of your spine. Watch this video to get a better understanding of how your lower spine looks and functions. 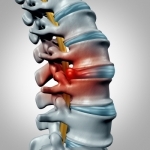 Radiculopathy is a common condition that may involve lower back pain or neck pain near Miami. When the pain occurs in the neck, it is referred to as cervical radiculopathy. This condition is a dysfunction of the nerve root. Often called a “pinched nerve,” it occurs due to the compression or irritation of the nerve. This causes neck pain, along with pain that may radiate to the shoulder and down the arm. Is Sciatica Causing Your Lower Back Pain? Lower back pain can sometimes be debilitating enough to interfere with your ability to carry out daily activities. When you consult an orthopedic surgeon regarding lower back pain treatment near Miami, he or she will first determine the underlying cause of your symptoms. If your symptoms include numbness, tingling, and muscle weakness down one of your legs in addition to back pain, you could have sciatica. Back surgery isn’t appropriate for all patients who suffer from back pain. Typically, spine specialists will only recommend surgery for those with severe or persistent symptoms that are not relieved through non-surgical methods. For patients who aren’t yet ready for back surgery or wish to avoid it altogether, appropriate back pain treatments in Miami may include a steroid epidural injection into the lumbar region of the spine. These injections may help patients with a range of back conditions, including disc herniation, degenerative disc disease, lumbar spinal stenosis, and compression fractures. There are many reasons why you may have experienced lower back pain near Miami.Lower back pain is quite common because the lower back supports much of the body’s weight. Pain may develop as the result of an acute injury to the muscles, tendons, spinal joints, or spinal discs. How do you get rid of a lower back spasm? Which Doctor Can Help Me With Back Pain? How do you stretch out your tailbone?